Well, it’s a part of life that most of us find uncomfortable to talk about. So let’s make this as painless as possible and talk about flowers. First you could send flowers to the funeral home or to the family’s home. 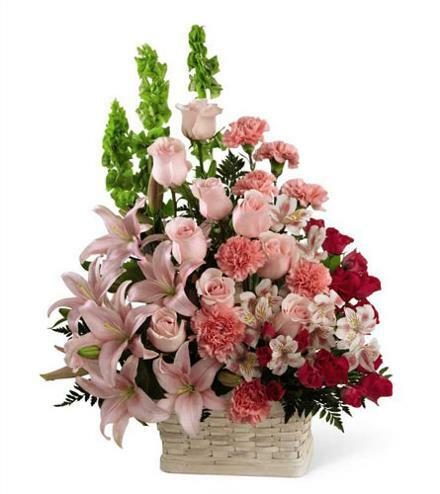 If you are sending to the funeral home the best style of arrangement is to have it made one sided. This means most of the flowers in the arrangement will be on the one side that faces out making your arrangement look as showy as possible. Any colours and flowers are suitable when sending to the funeral home. If you are sending from a company to keep it conservative or traditional. 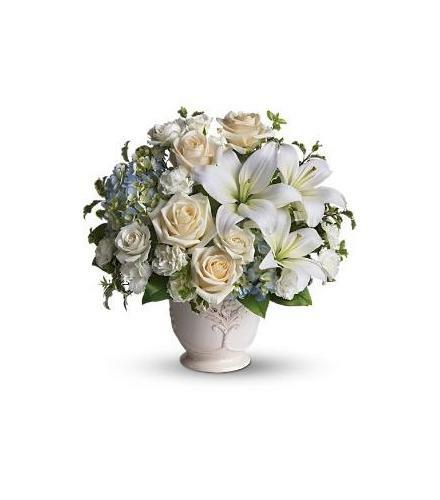 We often recommend sending an arrangement in all white flowers. This is a very classy and elegant look for a funeral piece. 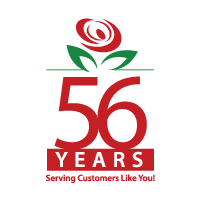 Another option for the funeral home is sending plants or a planter basket (which is a mix of green and flowering plants). This is an option for the family as they might have a number of fresh flower arrangements. Still, plants will never make the show or have the impact that fresh flowers will have on everyone there. When sending to the home it may be best to send an arrangement that is more of a centrepiece, which means there will be flowers on all sides of the arrangement to make it suitable for a dining room or coffee table. Any colours and flowers are suitable for the home. 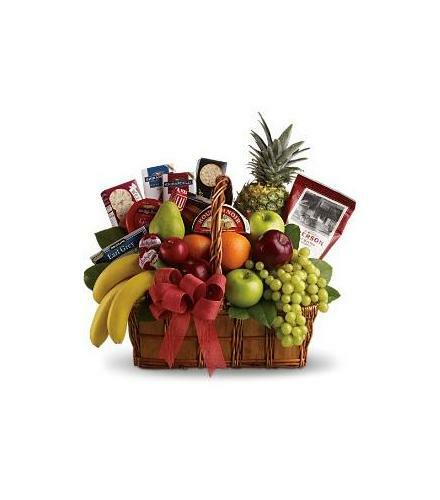 Ordering a fruit and gourmet basket to send to the family home is also a thoughtful gift. Whatever or wherever you decide to send your gift know that your kind gesture will definitely be appreciated. It is your message that really counts although the fewer words the better. And flowers do make your message much more meaningful and always remembered.